Petals Of Grace has been a leading full-service florist in the Jacksboro and surrounding area for many years. Whether you prefer something time-honored and traditional or something contemporary and modern, we design our arrangements with you in mind. At Petals Of Grace, we design breathtaking arrangements for all occasions! Sympathy, weddings, anniversary, birthdays, and get well - you can find it all here! Look to Petals Of Grace for unique gift ideas for any age or gender such as delicious gourmet and fruit baskets or a personalized gift basket. We also offer a vast selection of candles, dolls, home décor, and green and blooming plants. We also offer wedding consultations. We are conveniently located on Jacksboro Pike and are open to serve your floral and gift-giving needs. We also deliver daily to all local funeral homes and hospitals. 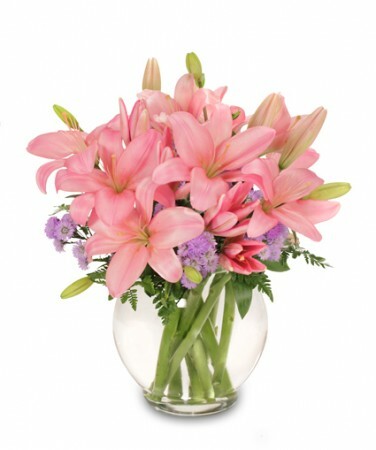 Can't find an arrangement you like on our website? No worries! Call us today at (423) 566-2352 and speak with one of our designers! We are happy and ready to assist with all your floral needs. Need flowers for your wedding or special event? Schedule a consultation today!